Fences and gates are what keep not only your horses but also kids and other animals from straying into fielded areas and possibly hurting themselves. It’s been a long, hard winter and there’s a good chance that parts of your fence have taken a beating. Be aware of loose nails in board fencing, sagging wire fencing or cut electric fencing. 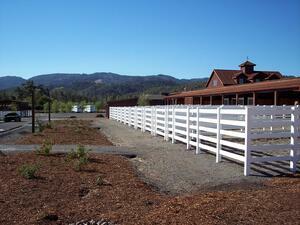 Take a few minutes to ride your fence line – both the inside perimeter and the outside. Make a note of any repairs that need to be taken care of before you turn your horse out. Like fences, footing can take a lot of wear and tear during the winter. If you turned your horse out when the ground was wet, it’s likely that there are chopped up areas where horse shoes have dug in. There may also be holes from gophers or uneven hills from moles eventually causing a galloping horse to stumble. Some lower areas of a field can still be water-logged, resulting in mud and an ideal situation for a horse to pull a shoe when running through it. 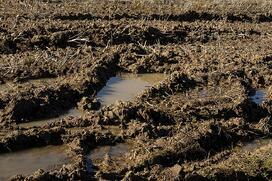 - Don't forget our Stable-ity Grids can help with these muddy messes. Take time to walk your pasture, making note of any holes or extremely uneven ground. Fill these areas in before your horse takes off. Even indoor turnout suffers during winter. If everyone is riding in the arena, there’s likely to be a well-worn track around the edges from everyone riding along the rail. 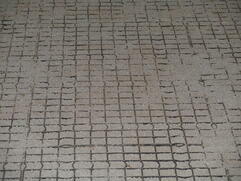 Sometimes, the footing is worn down to the base, making it easier for a horse to stumble. Arenas used for jumping lessons can end up with divots in the footing due to horses taking off and landing in the same spot. Drag the arena to even out the high/low spots, adding more footing where needed. Even the oldest, laziest horses can run and buck like yearlings when turned out on the first nice day of Spring. One of the best ways to avoid injury is making sure your horse is wearing safe and supportive wraps or boots before turnout. If using polo wraps, add an extra layer of security by adding duct tape to the ends to ensure they don’t unwrap. Also be aware that polo wraps if wet (from wet grass or puddles) can become sodden and heavy on your horse’s legs. 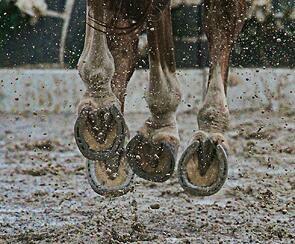 Consider adding bell boots to help your horse avoid pulling a shoe while playing. If your horse has a particular problem keeping his shoes on, think about using a hoof boot that slips right over your horse’s existing shod hoof. 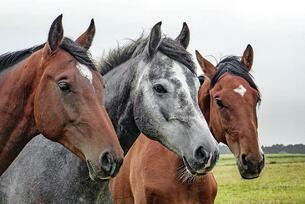 Follow these “3 F’s” to avoid your horse getting loose, a lost shoe or a leg injury. And Happy Spring – whenever it gets to you.